A while back, I posted some quotes from keyword domain owners that created a business on their domain names. I decided to recapture those quotes along with some new ones. They all come from interviews I have done in the past and I will continue to add to them in the future. I’ve saved them off in their own page to be used as a reference for anyone that might be looking to buy or sell a keyword name and want reassurance of the power of a domain name. Are you a keyword domain owner? I’d be happy to add your quote as well. It’s extremely interesting reading through these quotes. 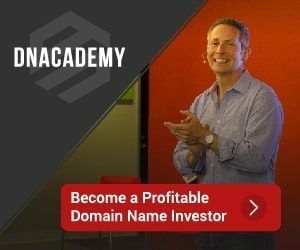 Whether it’s the keywords themselves (seo wise) that hold the weight or if it’s simply the authority that keyword rich domain names demand, I’m still unsure. Either way it helps! With my industry it is basically a must. People tend to look for keywords in domains. Not sure if it helps seo wise though.